Growing up on Cape Cod, Massachusetts, Mercy Otis Warren was fortunate to go to school with her brother. 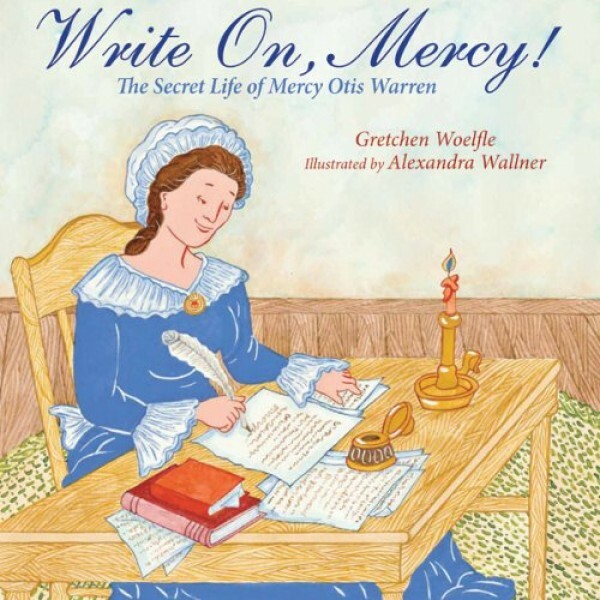 When she married Patriot James Warren, Mercy wrote in secret -- poetry, plays, and about the events of her time. She wrote of the people she knew, including George Washington and John and Abigail Adams. It wasn't until Mercy was older that her literary life became known, with the publication of her three-volume history of the American Revolution. This is the first picture-book biography of an intrepid woman chronicler.